Players signing up with Vegas Paradise Casino are greeted with a sensational welcome offer consisting of a 100% match bonus up to £200. The bonus is credited instantly upon your deposit being verified. The deposit and bonus must be wagered within 90 days and requires 50x wagering before any withdrawal requests being approved. Vegas Paradise Casino, as a general rule, has an extensive ongoing list of promotions for returning players. 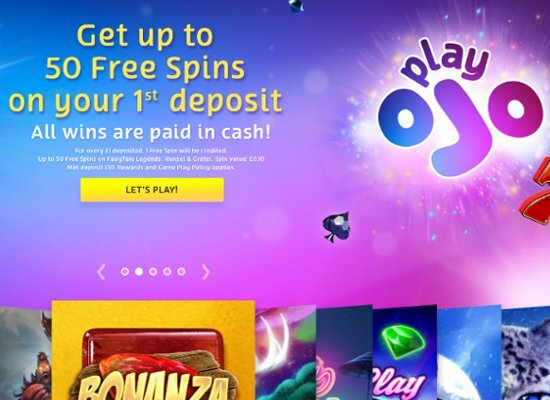 This includes the likes of free spins and re-load bonuses. A few notable promotions include Monday Madness and Happy Hour bonuses. 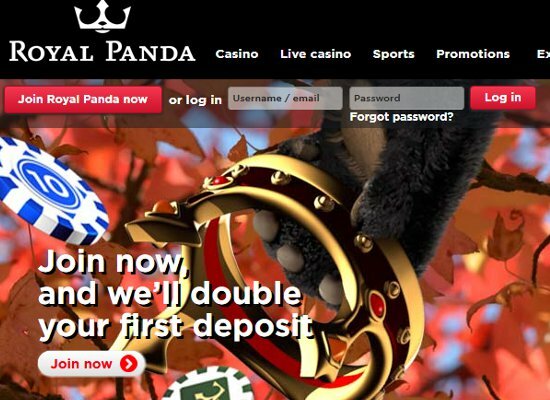 Joining this is a robust loyalty program designed to reward you for every bet you place. Established in 2014, Vegas Paradise Casino is a thrilling and captivating online casino powered by multiple software providers. The casino brand utilises a Vegas style theme, as evident by the stunning Vegas City backdrop on the homepage. The casino is owned and operated by ProgressPlay Limited and is licensed by both the UK Gambling Commission and Malta Gaming Authority. NetEnt and Microgaming power the game library at the casino and this provides an excellent selection of casino games, all of which are well-known for their creative designs and well-designed game features. 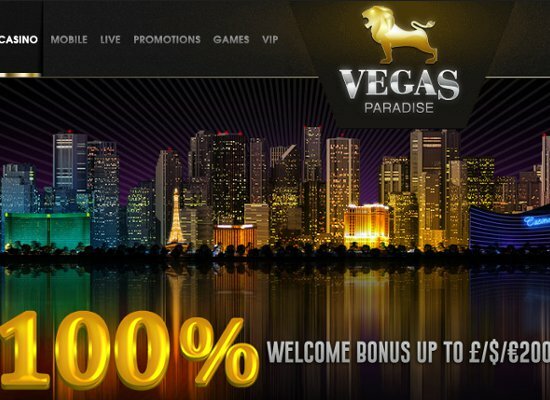 Vegas Paradise Casino further impresses with promotions and bonuses that are thought out and player friendly. 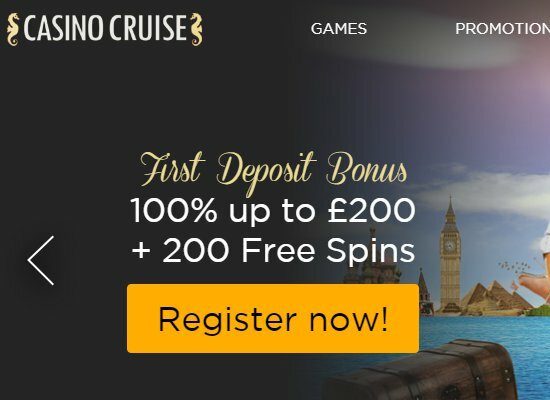 The casino includes an arsenal of payment methods, top-notch security, and outstanding customer support to ensure your online gaming experience is a memorable one. Vegas Paradise Casino provides a full suite of casino games from two of the most reputable software providers in the world, including Microgaming and NetEnt. Each casino game provides a truly captivating experience thanks to high-end graphics, marvellous sound effects, and realistic animations. Players can look forward to over 300 different slot games, ranging from traditional 3-reel slot machines to modern 5-reel video slots. The most popular slot titles include Fat Lady Sings, Forsaken Kingdom, Thunderstruck II, Wild Wild West, Warlords: Crystals of Power, Wild Toro, and Jurassic World. Players can also indulge in a range of progressive jackpot slots, such as Treasure Nile, Fruit Fiesta, Tunzamunni, and more. 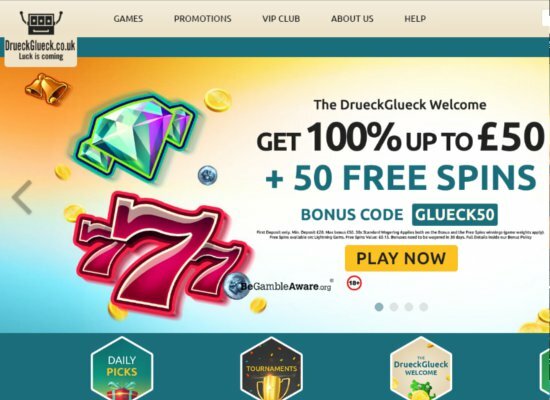 If you are a table game enthusiast, you are going to love the selection of table games available at this online casino brand with games like Baccarat, Blackjack, Roulette, Casino Hold’em, Red Dog, and Sic Bo. You can also choose from a wide variety of video poker games such as Jacks or Better, Aces and Faces, and Deuces Wild, along with over 30 different scratch card games. Vegas Paradise Casino not only provides a unique and attractive online gaming destination, but also offers players the chance to take a road trip thanks to their innovative mobile casino, providing mobile blackjack, mobile roulette, and mobile slots. There are over 100 different games to choose from while playing from a mobile device and the casino operates on all mobile devices, including iOS, Android, and Windows phones. The casino management and support team are friendly professionals that are dedicated to offering first class customer service to any customer with a query or request. The support staff are highly knowledgeable and available around the clock to answer any concerns you might have. Getting in touch with support is quite easy as you can contact them via telephone, live chat, or my emailing them on their website thanks to a casino contact form. 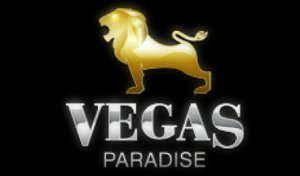 Vegas Paradise Casino also ensured that funding your account, or withdrawing your winnings, is extremely easy and convenient. They offer all popular payment methods, including Trustly, Paysafecard, Neteller, Giropay, Sofort, Pay-By-Phone, Maestro, Mastercard, and Visa.